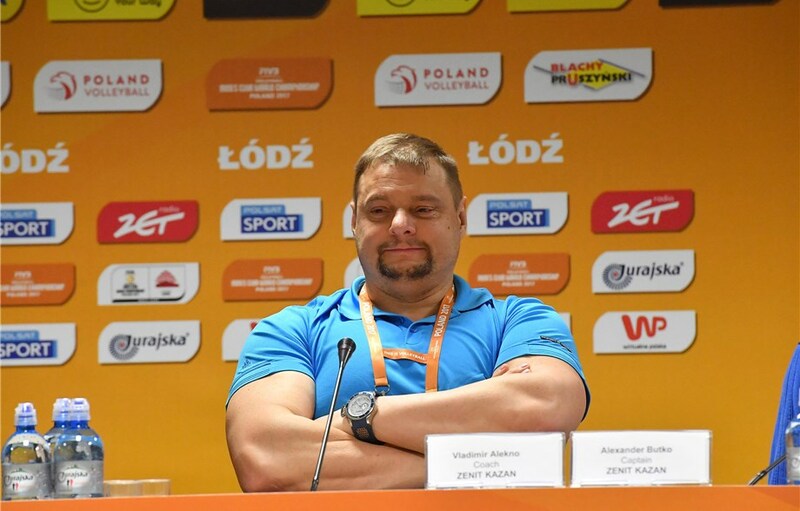 If you think Vital Heynen‘s coaching job is a hard one, having to wait one year to have the best player in the world debut for your team, imagine Vladimir Alekno‘s life right about now, after just seeing Wilfredo Leon walking out of Zenit Kazan’s door to Italy’s Perugia. Certainly, losing the world’s best player must hurt for a coach, who most certainly had his work cut out for him with a player of Leon’s caliber. “Unfortunately, in the process of determining the future of Leon, he wasn’t the only one participating. He still has a wife and an agent. They all made the decision together. From the point of view of a woman with a small child, his wife can be understood. For the most part, she was alone in a country where it’s snows for six months. Life in Italy is completely different. In my opinion, this factor was the main one. As for the economic part, then, as far as I know, the difference is small. Ngapeth and Leon are two completely different players who do not need to be compared. In addition to talent, Leon possesses physical gifts given from the Almighty. Ngapeth is a player of a different style. He was the leader of his teams. He is a player with heart, with a character. He does not have the gifts that Leon has, but he compensates for it in other areas. His adventurous showmanship does not bother me. While no one in the world can be a suitable replacement for Leon, it’s safe today that Zenit Kazan signed the next best player as his replacement.